Hebdogiciel : All the Atari listings are now available ! 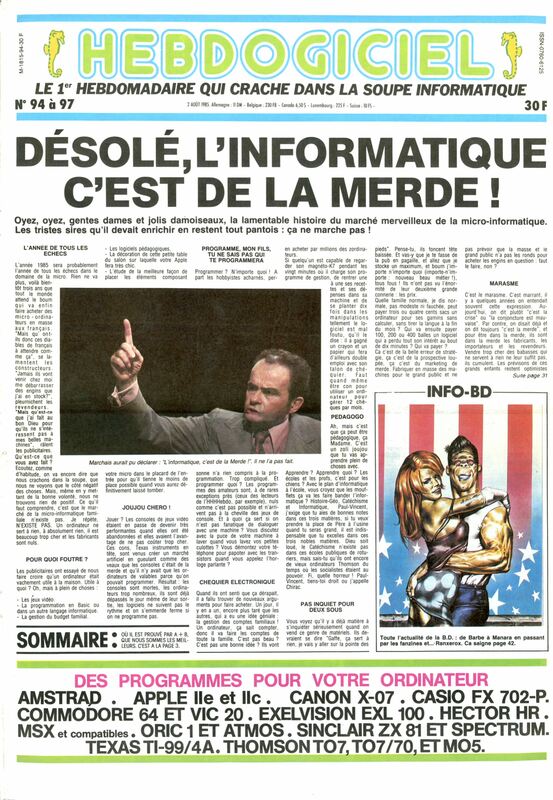 Hebdogiciel was a french computer magasine full of listings for Atari, Commodore, Apple, Oric, Amstrad etc.. It was published each weeks between 1983 and 1987 with some famous headlines. With the help of a few old listing lovers, Xavsnap the owner of the website « Hebdogiciel Les listings« , whe just have achieved to convert the programs into 31 ATR images ! Feel free to use the games and have fun !